Aloe strip with vitamin E, soft rubber fins,helps to bring up the beard. * How can I get samples or quoation? 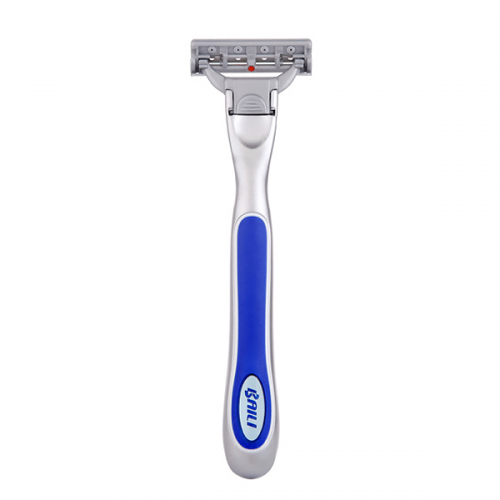 * Can do you private label/customer brand razor? *Are you a factory or trade company? *Why do you choose us? We’re in rich of experience for producing shaving razor, accept to customize your brand logo and any packaging. Stable good quality, competitve price and delivery on time, helps us to gain a good reputation from our customers. For samples,we accept paypal/western union. Short delivery for stock item ; 15-30 work days for custom fresh order. BAILI is the one of leading manufacturer was founded in 2002, which specialized in producing and marketing various kinds of shaving related products. Our factory is n Guangzhou city, Tianhe district where close to the “Canton Fair” exhibition center, and only 40 minutes from the Baiyun airport. Currently our factory covers an area of 5000 m³, 5 production lines, with over 100 production workers and 28 experienced technical personnel. Since the company was founded, we are committed to product research and development that keep trying to develop the world’s most sterling shaving razor products, and adhered to the “GET BAILI GET PERFECT” as a business philosophy and the spirit of enterprise . After 14 years of hard working, our independent brand “BAILI” has grown to be a famous brand in the personal care industry, inspiring unprecedented consumer loyalty. 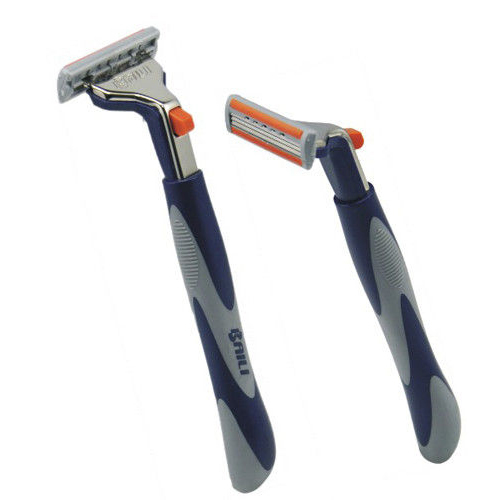 The main products covering system razors, double edge razors, disposable razors, razor blades and shaving related product that meet the requirements of different users. All of BAILI products are specifically designed in fashionable style with the highest quality standards and always offer at a reasonable price to our customers. We want every single household in the world to know and love our brands. Free to request a quote for this model without any hesitation !